If it’s getting harder to get out of your warm bed each morning as the temperature outside drops, we have the perfect antidote to those winter blues. How about a cheeky weekend getaway to one of Australia’s sunniest cities? Brisbane enjoys a subtropical climate with around 283 days of sunshine every year, and during winter you’ll find pleasant 21-degree days with no hint of icy mornings. Here’s our roundup of what to experience and how to stay in style for your escape to the sunshine. What better way to take advantage of the beautiful weather? There are some amazing bushwalks in and around Brisbane where you can visit waterfalls and maybe even spot a snoozing koala. The walking tracks in Mt Coot-tha Forest feel like a secret world, and they’re just 15 minutes from the CBD. 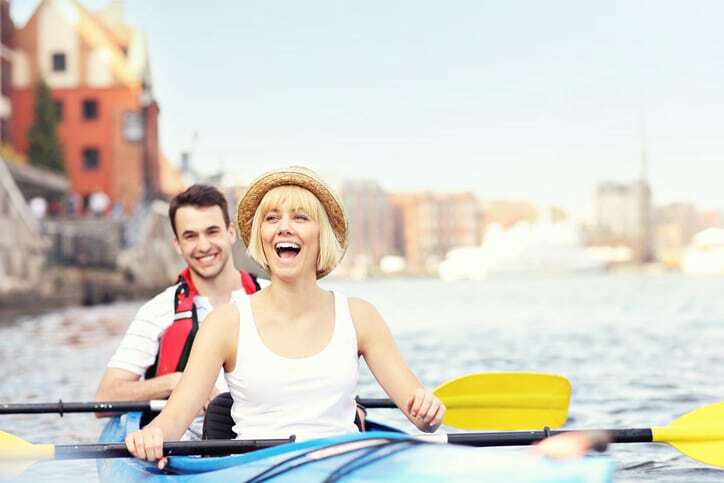 If you’re wondering where to kayak in Brisbane there are trips departing Kangaroo Point Cliffs with Riverlife Adventure Centre that allow you to explore the city’s waterways. They also offer amazing evening paddles complete with drinks and barbecue feast – a great way to see the city at night! If you’re a sports nut you’ll be quite happy in Brisbane throughout winter. You might schedule your trip to watch the Wallabies go up against Ireland on June 9, catch Game Three of the State of Origin on 11 July or attend a home game of the Brumbies at Suncorp Stadium. The Royal Queensland Show offers an amazing array of rides, animals and agricultural displays to experience at the Brisbane Showground each year. Arrange your visit between 10 and 19 August and make your way to this beloved local event – be sure to try the traditional show treat of a dagwood dog! Each year humpback whales migrate between their breeding waters in the north and cooler waters in the south, and the Queensland coast around Brisbane can be the perfect vantage point. Travel just 30 minutes from Brisbane to experience these amazing mammals up close on a boat tour between June and November. Brisbane winter nights can drop to a mild 10 degrees, so all you’ll need is a light jacket as you sip on champagne or cocktails overlooking the sparkling city. Fortitude Valley offers some of the best restaurants in Brisbane, and the views from Eleven Rooftop Bar or Up On Constance can provide the perfect start to your night. Where’s better to lay your head than modern holiday suites in Brisbane’s two tallest buildings? 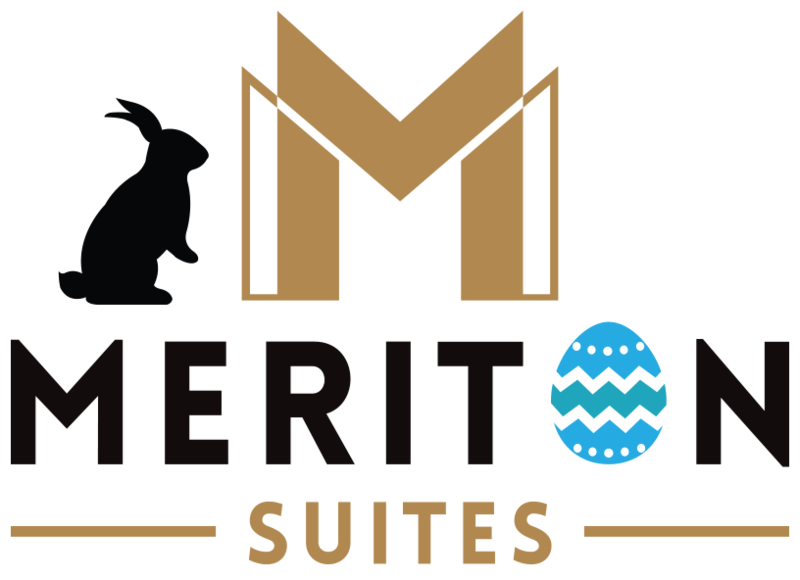 Meriton Suites offers stylish accommodation in two central locations. Kick back with free Wi-Fi, a fully equipped kitchen and spectacular city views from many of our suites. Reserve direct for the best rates, guaranteed.